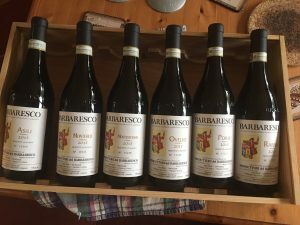 Now here’s something truly exceptional: a “horizontal” 2013 sextet of related wines from Italy’s fabled Produttori del Barbaresco, a unique collective that produces impressive, deeply flavoured wines from the Nebbiolo grape. A century ago Barbaresco was just another anonymous village in the Piedmont region of northwestern Italy. Today it produces iconic wines that rate with those of Barolo and Brunello. Produttori del Barbaresco sells several distinct Riserva bottlings, all of them prized by oenophiles attracted to terroir-expressive wines. The 2013 Asili got ratings from 95 to 97, with comments such as “Absolutely stunning in every way” and “rich and silky . . . impeccably balanced.” As for the Montefico, Wine Enthusiast bestowed 97 points with this rave: “Boasting an extraordinary pedigree, this fantastic wine opens with hallmark scents of wild berry, new leather, chopped herb, tilled soil and a whiff of violet.” The Montestefano was right behind with 96 points (“New leather, camphor, forest berry, dried rose and culinary spice are some of the aromas you’ll find on this exceptional red”). The Ovello was beloved of everyone from Vinous (96 points) to Robert Parker’s Wine Advocate (95 points). Praise, more purple than the wine itself, included: “Vivid, sculpted and impossibly beautiful, the Ovello is simply magnificent.” The Pora was also hailed by Wine Enthusiast, with this mouth-watering description: “The smooth, full-bodied palate shows juicy Morello cherry, pomegranate, licorice and clove balanced by vibrant acidity.” And finally, the Rabajà also merited a 97 (“enviable finesse . . . showing crushed black cherry, juicy raspberry, orange zest, clove, and licorice”). Individually, these are all impressive, desirable wines; collectively, this is a devastatingly attractive auction lot! Now here’s a unique double bill: two premium California magnums with a family connection. The father owns iconic Napa winery Caymus, while his Sonoma-based son is the man behind Belle Glos, which specializes in Pinot Noir. Long appreciated for its silky textures and layers of dark fruit, the Caymus Cabernet Sauvignon is always a welcome dinner guest. The 2014 earned 94 points from Robert Parker’s Wine Advocate, which praised its staying power, lushness, intensity, and purity. 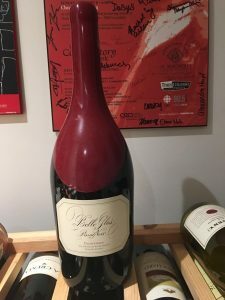 The Wine Spectator, another big fan, said this: “Supple and fruit forward, with easygoing plum, black cherry, and blueberry flavours.” The Belle Glos 2013 “Dairyman” Pinot Noir gets similarly lavish praise, starting with 91 points from Wine Spectator (“exhibits a rich array of flavour and personality . . . spicy, toasty anise and black licorice notes”). Natalie MacLean bestowed 91 points and this ravishing description: “Full-on chocolate, mocha and espresso aromas on the nose and fleshy sweet dark cherry flavour.” And Vivino chimed in with “Rich and unctuous . . . spicy and gorgeous.” It’s double-your-pleasure time with this pair! 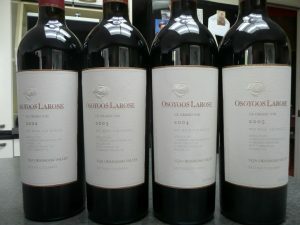 Osoyoos Larose is one of the Okanagan’s flagship wineries, and their Bordeaux blend “grand vin” is eminently collectable, a wine cherished for its richness and complexity. Although there is a new winemaker at the helm these days, Bordeaux-raised Pascal Madevon spent 12 fastidious and inspired years at Larose. This auction lot of four features a vertical array from 2002 to 2005, and these well-aged beauties all feature the master’s touch. This is a true Bordeaux blend, containing mostly Merlot alongside Cabernet Sauvignon, Cabernet Franc, Petit Verdot, and Malbec. Tim Appelt of WineDiscovery was lucky enough to attend a vertical tasting spanning nearly a decade of Madevon-vinted wines and here are a few representative comments: “The nose is rich, intense and fruit-forward [suggestive of] black currants, cherries, blackberries, plums, along with violets and baking spice. Mouth-filling fruit, chocolate and coffee bean flavours.” And of the 2005, one of Appelt’s top picks, he added: “There is real elegance here, a wine that will interest those who aren’t looking for raw power.” Although drinking beautifully now, these wines will cellar for several more years . . . if you can wait that long! 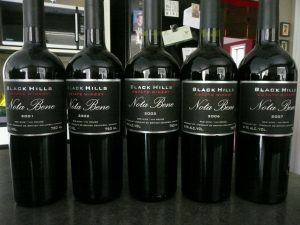 Hailing from the esteemed Black Sage Bench near Oliver, Black Hills Winery made a near-immediate impact with its iconic Nota Bene (“Take Note”). A Bordeaux-style blend that leads with Cabernet Sauvignon and includes Merlot and Cabernet Franc, the eminently collectable Nota Bene is a bold and opulent wine that has often earned comparisons to a Pomerol. Influential wine critic Anthony Gismondi attended a huge vertical tasting of Nota Bene, and his comments will interest anyone thinking of bidding on this delicious slice of Okanagan wine history. Gismondi’s ratings ranged from 87 to 89 points and he was clearly impressed. He wrote: “… a tarry, Barolo-like nose with smoky olive tobacco notes.” (2003); “It’s a cooler year and those tarry Barolo notes are everywhere. Perfect for roast lamb.” (2006); and “This is a beefier version of the 2006 with black cherry fruit and cassis.” (2007). The winemaking style and Black Hills has evolved over the years and it is likely that these wines want to be consumed soon rather than cellared – hardly a hardship! Nearly everyone cherishes a good sip of vintage Port, and here’s an impressive pair that’s up for grabs. The Gould 1997 should appeal to hedonists: it earned 90 points from Wine Spectator, while fine-wine merchants Lay & Wheeler raved about its “impressive harmony, velvety tannins, and lovely mouthfeel from beginning to long finish.” CellarTracker allotted 90-91 points and some alluring comments: “The nose has raspberries, white chocolate, milk chocolate, and raisins. Vibrant fruit, sweet and a long prickly finish. Pass the Stilton, please.” Dow is certainly one of the greatest Port houses, celebrated for wines of lushness, depth, and structure, and their 1994 is impressive indeed. It earned a 97 from Wine Spectator, which wrote: “Black, with intense aromas of raspberries, raisins, flowers and stems. Full-bodied and medium sweet, with a long, rich finish.” Robert Parker’s Wine Advocate also went 97, adding: “The palate is seriously big and voluptuous with medium to high acidity. Very long finish.” And an impressed CellarTracker summed up nicely: “A great and classic vintage Port.” Pass the Stilton, indeed! One of the truly legendary names from the most prestigious wine-making region on the planet, ever-opulent Château Mouton Rothschild is a superlative example of what Bordeaux is all about. 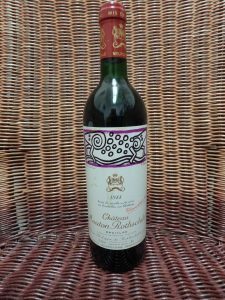 The 1988 vintage, although a lesser offering by Rothschild standards, garnered 92 points from Wine Spectator, which declared that it gave “great pleasure.” The redoubtable Robert Parker also gave it 92, writing in his 2003 Bordeaux Book: “. 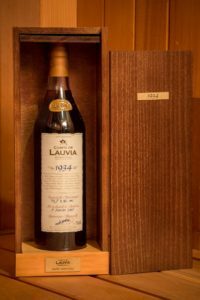 . . attractive aromas of Asian spices, dried herbs, minerals, coffee, black currants and sweet oak.” He also praised it for being full-bodied, muscular, and admirably ripe. Three of the scribes at CellarTracker tasted it this year and gave it 94 points, complimenting it for the “textbook nose of cedar” and its “full flavour of mellow heavy cherries and licorice.” And James Suckling called it “rich and fruity, with loads of currant, tobacco, smoke and new wood on the nose and palate.” In short, these two bottles of 1988 are clearly an exciting find at an auction. These can cellar until 2030 – but why wait? See above lot for description. Last year was the first time that Crush ventured down the whisky trail, and once again we have a dynamic duo of rare, vintage single malts to tempt the scotch lovers in the audience. 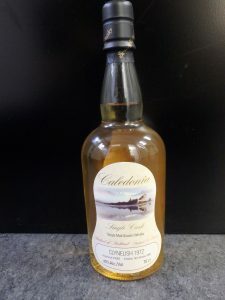 The 1972 Clynelish “Caledonia” was distilled in 1972 and bottled 29 years later. The fabled Clynelish distillery is located in the northern highlands on the east coast of Sutherland, an hour north of Inverness. They have always been appreciated for the slightly smoky, sea-spicy flair of their whisky and this “single cask” bottling is a fine example. Wine Enthusiast rated it from 85-89 points, with these tasting notes: “. . . additional time releases scents of palm oil, lanolin, egg white, slight brine and fresh almonds. Better in the mouth than on the nose, the palate entry is deeply grainy/malty, sweet and oily; by mid-palate sensuous tastes of dark chocolate, sugar cookies, brown sugar oak and honey delight. Finished medium-long, moderately sweet and succulent.” This would look lovely indeed in anyone’s liquor cabinet. Now here’s an exciting rarity! Glencadam is one of the less famous distilleries in the Highlands but experts know that it produces a great malt. 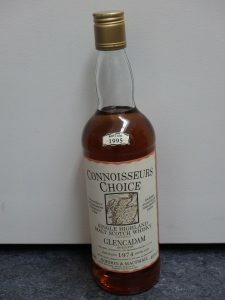 This particular auction lot, distilled in 1974, was bottled in 1995 by esteemed producers Gordon and MacPhail. It was part of their Connoisseurs Choice series, which offered premium examples from the several scotch-making regions of Scotland. Finished in bourbon casks, this whisky was nicely praised by Master of Malt: “Sweet and earthy on the nose, some faint peat with apricots and nectarines; the palate is spicy with cedar wood, dry grass and a fragrant note; the finish is smooth and long with spiced chocolate notes.” With classic Scots understatement they summed up thus: “A tasty dram.” The scribes at WhiskyNotes were impressed with the malty sweetness of the nose, comprising elements of honey, apples melons and marzipan, with some smoke in the background. The mouth was “reasonably intense, showing bittersweet oranges, sweet malt, and hints of mint . . . light pepper and clove and liquorice.” Slàinte! 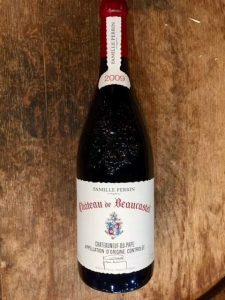 Châteauneuf du Pape is one of France’s most richly flavoured wines, and a particularly celebrated example is Château de Beaucastel, which hails from the southern part of the Rhone Valley. This venerable Château produces wines that are reliably silky, plush and full-bodied, and they seem to have done a particularly good job with the 2009. The 96 points it garnered from Wine Spectator came with this almost overwrought description: “One of the more endowed 2009s, this is packed with dark smoldering cocoa, mesquite, tobacco and roasted fig notes, all inlaid with pure cassis and plum preserves fruit flavours.” Wine Advocate went 94, with similarly lavish praise: “. . . a silky, open-knit seductiveness, a dense plum/purple color and a beautiful perfume of smoky Provençal herbs intermixed with grilled steak juices, garrique, kirsch and blue as well as black fruits. 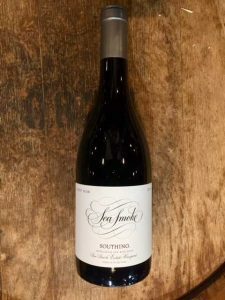 The wine is full-bodied, unctuously textured, and silky smooth.” James Suckling similarly went 94, on a wine he called “stunning . . . from a very ripe vintage.” Also chiming in with a rating of 94 was CellarTracker (“incredible mouthfeel and silky integrated tannins. This wine is just a real pleasure to drink”). Better get out your cheque books . . . . The term “sea smoke” refers to fog and its poetry inspired a famed Pinot Noir producer in California’s oft-foggy Santa Rita Hills to name his property Sea Smoke Vineyards. They use organic and biodynamic practices in their viticulture, and have three sought-after Pinots in their portfolio (as well as a Chardonnay and a Blanc de Noirs sparkling wine). Their 2014 Southing Pinot Noir, characteristically deft and luscious but not overbearing, got 92 points from Wine Enthusiast. The tasting notes were particularly enticing: “Crisp boysenberry and black raspberry aromas meet with thyme, oregano and a touch of caramelization. Dark cranberry fruit shows on the palate, lifted by anise, pepper, and an array of herbs.” CellarTracker went 93, then gushed: “Wow . . . beautiful body in the mouth and a savoury finish. Lovely!” And Vivino had some insightful praise: “Fruitier than its European counterparts, yet very elegant and complex. Aromas of ripe red cherries, black pepper, mineral on the palate; cool climate acidity, fine tannins, lingering finish.” In a word, Yum! Try it with veal or venison. Château Léoville Poyferré is a small but elite winery in the Saint-Julien appellation of Bordeaux that produces a powerful and delicious Second Growth. The 2005 has done very well with the critics, starting with Wine & Spirits, which gave it a 95 and some exciting praise: “. . . massive, with dark extract and exotic spice, a sophisticated wine that ends on sweetness, bitter chocolate and dark berry fruit.” Wine Enthusiast went 94 while praising the wine’s “huge concentration, impressive power and great richness.” Not to be outdone, Robert Parker’s Wine Advocate bestowed 93 points and these glowing comments: “A gorgeously opulent wine. The most seductive, approachable and charming of the three Léovilles [referring to three different vintages of the same wine], it exhibits a dense purple color as well as a sweet bouquet of mocha, black chocolate, crème de cassis, licorice, and toasty oak. Full-bodied with gorgeous, upfront fruit.” The palates at CellarTracker ranged between 94 to 96 points, and the Wine Spectator loved its “beautiful, caressing aftertaste.” Although this beauty is drinking now, it can likely cellar for another 15-20 years. Many wine fans like a French accent wafting out of their glass, and this trio from Bordeaux offers great flavour at a good value. Château Le Boscq is located in the esteemed district of Saint-Estephe. The writers at CellarTracker had varied opinions on the 2005 vintage, but many ratings were in the 90-point range. Comments ranged from “nice red fruit and sweet tobacco nose . . . great, fruity, tannic and well-balanced palate . . . excellent Cru Bourgeois from an excellent vintage” to “good value mid-range claret.” Château de la Cour d’Argent produces an estimable Bordeaux Supérieur, which is crafted almost exclusively from Merlot. The 2005 vintage was rated by CellarTracker mostly in the mid-80s, while Wine Spectator awarded 88 points. 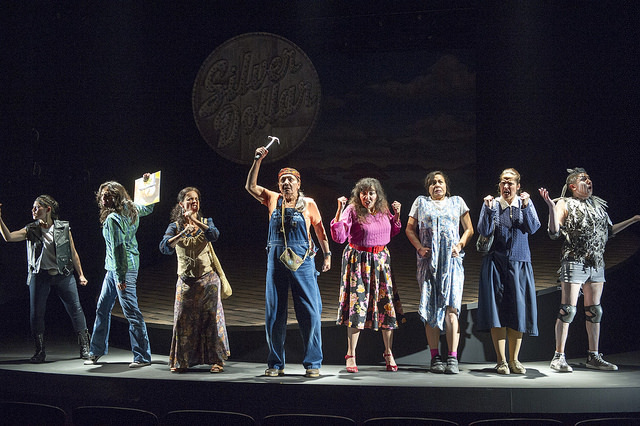 Here are some representative – and relatively recent – comments: “Still holding its own . . . some cherry/plum and nice finish”; “A little light but very nice. Cherry”; and “Full-bodied, with soft tannins and a medium, caressing finish.” Adds Vivino: “. . . a great wine for matching with steak and BBQ.” And hailing from the Pessac-Leognan area of Graves we come to Château Baret, which got ratings in the high 80s from CellarTracker. Comments included: “complex layers of black fruit, earth, tobacco and spice notes”; “thoroughly enjoyable Bordeaux”; and “wish I had more.” The reviewers at Vivino were also impressed (“excellent fruity wine!”; and “Complex and delicious”). Widely and affectionately referred to “stickys,” dessert wines are a delicious way to conclude a fine meal. Here’s an international trio that will delight even the fussiest hedonist. Let’s start in B.C. with the 2000 Sumac Ridge Pinot Blanc Icewine. 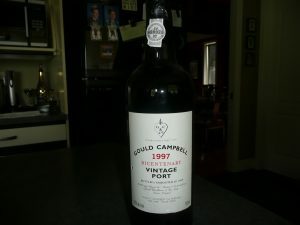 The writers at CellarTracker praised the palate as “honeyed and quite delicious.” Other online reviews were impossible to find, but the 2001 vintage got a 91 from Anthony Gismondi, who admired its “fresh citrus, buttery, baked pear and mineral flavours.” Australia’s famed Yalumba winery dates from 1849, and their non-vintage Museum Muscat is remarkable. Fortified and oak-aged for many years, this full-throttle throat charmer is like liquefied raisins lifted by hints of chocolate, caramel, rose petal, and orange peel. It earned 92 points from Robert Parker’s Wine Advocate, which noted: “. . . medium amber with a superb bouquet of honey, ginger, candied apricots, and peach. Ripe, sweet, and hedonistic, it has a very long finish.” Cue the Stilton! And let’s finish in Bordeaux, whose Sauternes are made from botrytis-affected Semillon and Sauvignon Blanc grapes. The 2002 Château Briatte Roudes earned 89 points from CellarTracker (“medium intense sweet honey and apricot nose . . . a very nice little Sauterne”). Vivino was also impressed: “sweet floral notes on the palate . . . mellow finish.” Bon appétit! Now here’s a beauty! Pauillac’s Château Latour is one of the truly legendary estates of Bordeaux – so much so that even their “second wine,” Les Forts de Latour, is a prized bottling that anyone would be lucky to have the pleasure of. Robert Parker in the Wine Advocate scored the 2007 vintage at 90 points with this comment: “The outstanding 2007 reveals a touch of graphite and black currant fruit intermixed with an unmistakable minerality. It is a generous, silky textured, medium- to full-bodied, evolved, elegant and pure offering.” James Suckling in the Wine Spectator praised it thus: “Refined, with layers of polished tannins and a subtle and delicate palate. Medium-bodied, with lovely length and finesse.” CellarTracker also averaged 90 points, with these notes: “Big bouquet. Plums, currants, blackberries, tobacco, cedar”; “on the palate, more currants, crème de cassis, and a background note of green pepper . . . on a moderately long finish.” The reviewers at Vivino were also impressed (“rich and complex fruits, savoury and long” and “It is an elegant, feminine Les Forts . . . perfectly harnessing the finest aspects of the vintage”). Piedmont, in northwest Italy, is the motherland of Nebbiolo, one of the world’s great grape varietals. 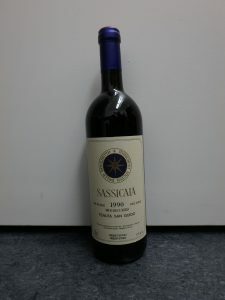 A fairly detailed description of this unique producer of Barbaresco is featured elsewhere in this programme, so let’s just focus on the particulars of this 2011 magnum. Wine Spectator rated it a 93, commenting thus: “A peppery, spicy style, this displays cherry, eucalyptus, tar and black pepper aromas and flavours. Firmly tannic, yet with a core of concentrated sweet fruit, tobacco and tea accents on the lingering finish.” Vinous came in at 94 points, adding” “Pine, mint, chalk, bright red berries, blood orange and white pepper are some of the signatures in a brilliant, finely-cut Barbaresco that captures the best of both the vintage and this site. Superb . . . don’t miss it!” And CellarTracker rated it a 92 (“Classic, high tannin profile still untamed by age. Medium bodied and lovely all around”). This still needs to cellar and could last for many years to come.